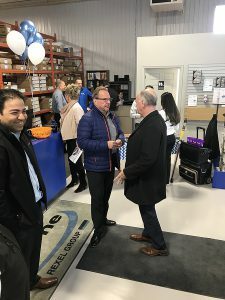 On October 25th, 2018 Westburne opened the doors to its new branch in Listowel Ontario. Listowel. The new branch is located at 430 Rocher Road, and will service the municipality of North Perth and surrounding areas. During Listowel’s open house the local radio station 107.1 The One, was on site. Branch manager Shannon Morrissey thanked the community, vendors, and customers. 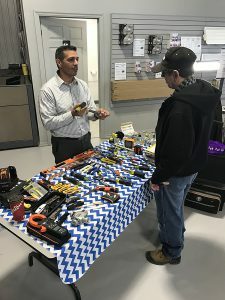 During the opening customers were able to draw prizes donated by Westburne and its suppliers. The grand prize was a Champion portable generator won by Bernie Immink of Immink Finishing and Custom Cabinetry Inc.
With a new location now opened in Listowel Ontario, Westburne is excited to continue to service its valued customers in order to support their current and future projects.